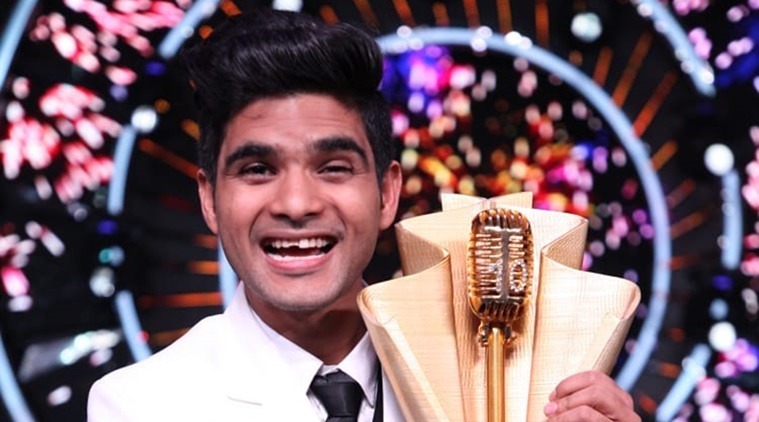 Indian Idol 10 Finale winner Salman Ali lifts Indian Idol 10 trophy on Sunday night. The other four Indian Idol 10 contestants fighting for the winner’s title were Nitin Kumar, Ankush Bharadwaj, Neelanjana Ray, and Vibhor Parashar. Judged by Neha Kakkar, Javed Ali and Vishal Dadlani, the popular singing reality TV show premiered live on July 29, 2018, on Sony TV. Salman Ali winner of Indian Idol 10 Finale and Ankush Bhardwaj became the first runner-up of Indian Idol 10 season with Neelanjana in the third place and Nitin in the fourth place. Indian Idol 10 grand finale was definitely one of the most entertaining ones, full of performances that you would never want to end. The Indian Idol 10 grand finale also saw the team of Aanand L Rai’s film Zero having fun and interacting with the finalists. Shah Rukh Khan, Anushka Sharma and Katrina Kaif were seen getting bowled over by the performances of the contestants. Indian Idol 10 finalists also performed with eminent singers like Suresh Wadkar, Bappi Lahiri and Alka Yagnik. Shilpa Shetty and choreographer Geeta Kapur were seen promoting the upcoming kids’ dance reality TV series Super Dancer Chapter 3. Neha Kakkar, Maniesh Paul, and Vishal Dadlani break down on the stage since the show is coming to end now. Stay tuned with us to find out more about Indian Idol 10 Finale Winner Salman Ali right here.